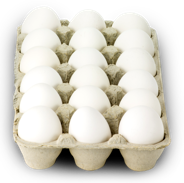 Safely store your eggs There are a lot of questions that go into buying your eggs, but once you’ve done that you need to make sure you handle and store your eggs safely. Where is the best place to store your eggs? Should you use the egg holder in the refrigerator door?